Sindhi Cuisine is the native cuisine of the Sindhi people from Sindh, Pakistan. It is heavily influenced by Indian cuisine, which is why you'll find a lot of similarities especially in the cooking techniques, aromatic features and spices used. Apart from that, you'll also find that there is a strong Muslim influence in Sindhi dishes, as the Sindhi people were under Muslim rule for many centuries. Sindhi cuisine reflects the culinary cultures of the Mughals, Rajputs, Sikhs and even the Arabs! Lots of focus is placed on ingredients such as lamb, chicken, fish, vegetables as well as fruits and dairy. 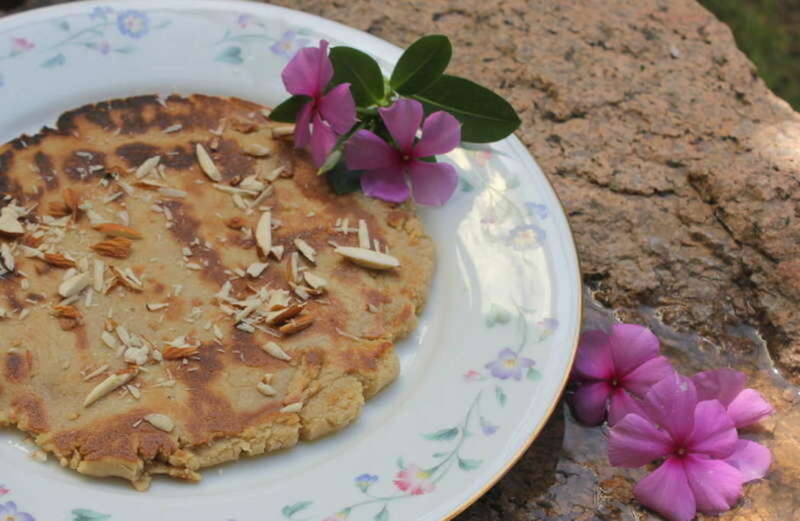 A typical meal in a Sindhi household will consist of a wheat-based flatbread, rice and side dishes. 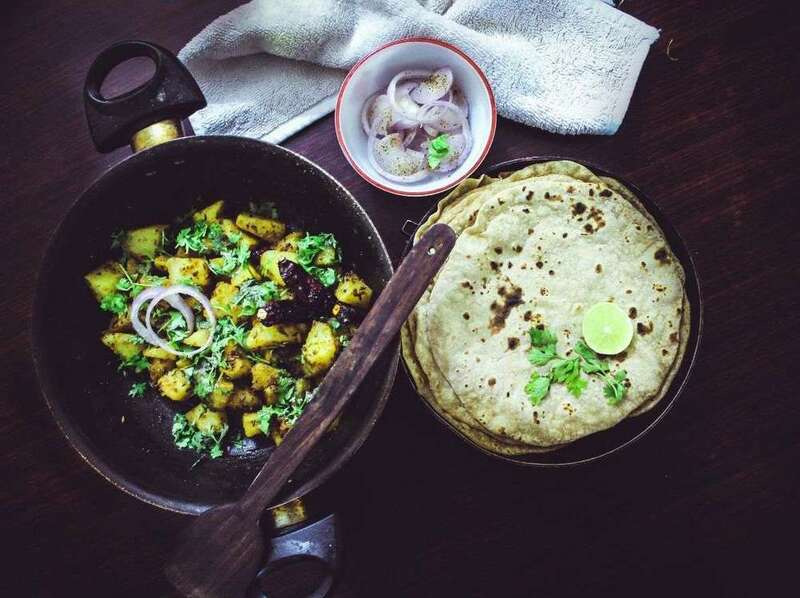 However, Sindhi cuisine extends so much more beyond that, with a variety of dishes served for breakfast, lunch, dinner and even festive occasions! What adds to its distinct flavours are three things: slow cooking techniques, layering of herbs and spices as well as the combination of sweet and savoury. If you've never tried Sindhi cuisine, then this article will introduce you to a whole new world of flavours! Let us take a look at some of the most iconic Sindhi dishes. 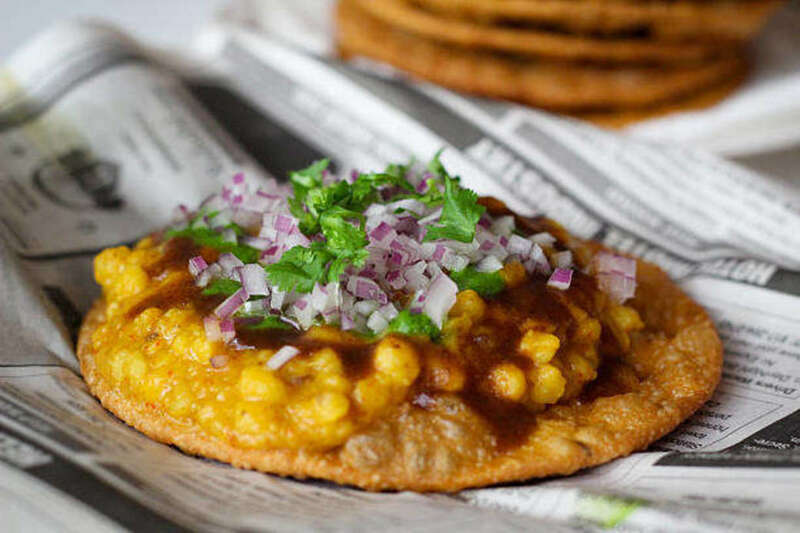 An authentic Sindhi breakfast dish, Dal Pakwan is basically Chana Dal (dal made from chickpeas) paired with a crispy, fried flatbread known as Pakwan. It is usually served with chutneys and topped off with raw onions. Allow me to describe the perfect bite of dal pakwan: a satisfying crunch of the pakwan, the wholesomeness of dal, fiery tang of the chutney, and the kick of raw onions. Talk about a combination of flavours! 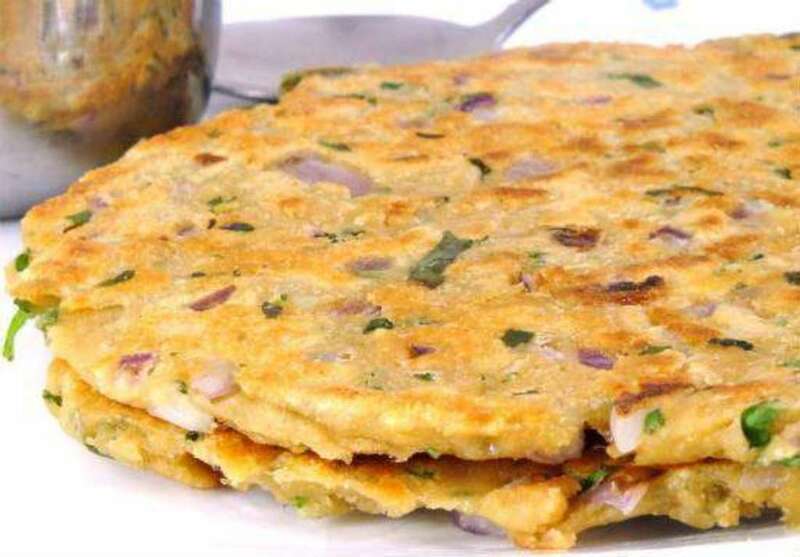 Another popular breakfast dish and tea time snack, Koki is a flatbread made with wheat flour, onion, green chillies and coriander leaves. This dish is a favourite amongst locals as it can be easily made at home, and can be customized by adding different combinations of herbs and spices! For an extra wholesome breakfast, don't forget a hot cup of chai and some yogurt dip! Mitho Lolo can be considered the sweet version of Koki, and it is usually served with chilled buttermilk during the Thadri festival, as well as – believe it or not – for people recovering from chickenpox or measles! There's no hot chicken soup or porridge for the Sindhi soul, it's Lolo all the way! Sindhis have a tender spot in their hearts for bhee, or lotus root. They use all the different parts of the plant in various traditional dishes, from the flower, the stem, to the buds, and even the seeds! 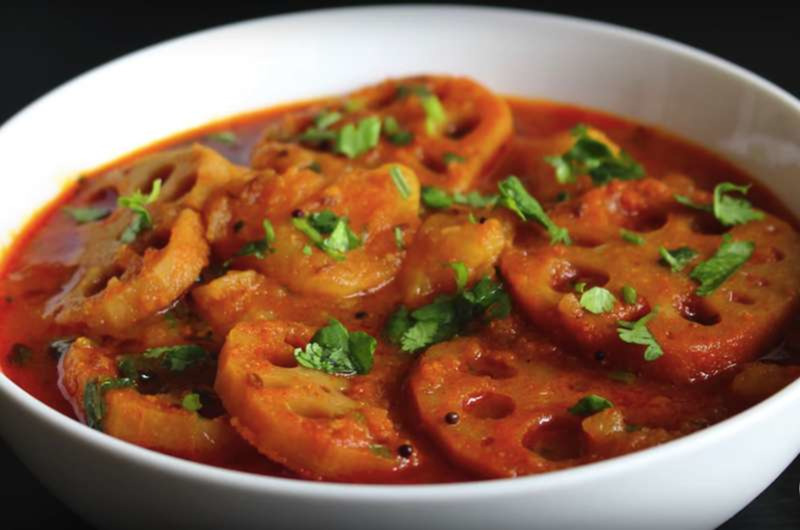 One such dish is Bhee Aloo, which is prepared from lotus stem and potatoes, slow cooked in a flavourful onion and tomato base. Doesn't it sound like the perfect comfort food? 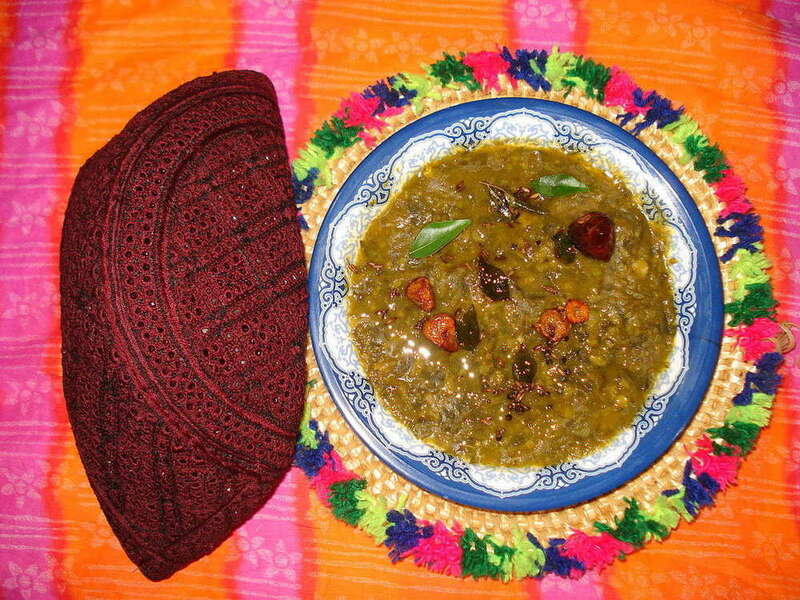 Sai stands for green in Sindhi, and Bhaji means vegetable, and this dish is really just that! A curry variation made from spinach, dill leaves, tomatoes, onions and green chillies, sai bhaji can be easily customized by adding different types of vegetables including carrots, eggplants, okra and so much more! The dish is usually served with Bhuga Chawal, brown rice with spices and caramelized onions. I'm drooling as I write this!!!!!! 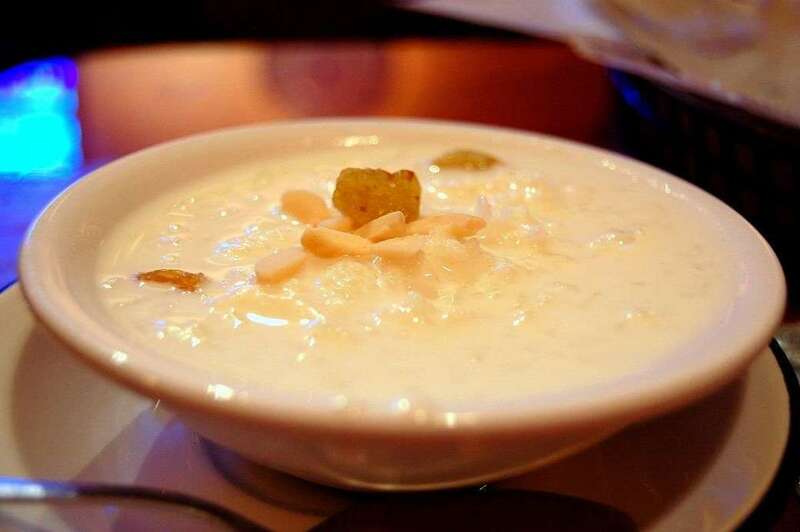 A sweet dish prepared by simmering milk and sweet dates, Kheer Karkun is usually served during Eid ul-Fitr, the day that marks the end of Ramadan. It can also be eaten hot or cold, depending on whether it's winter or summer! Where can I experience Sindhi Cuisine? Now that we've hopefully piqued your interest with some of the traditional Sindhi dishes listed, you might be wondering, how can I sample the marvels of this little-known cuisine in Singapore? 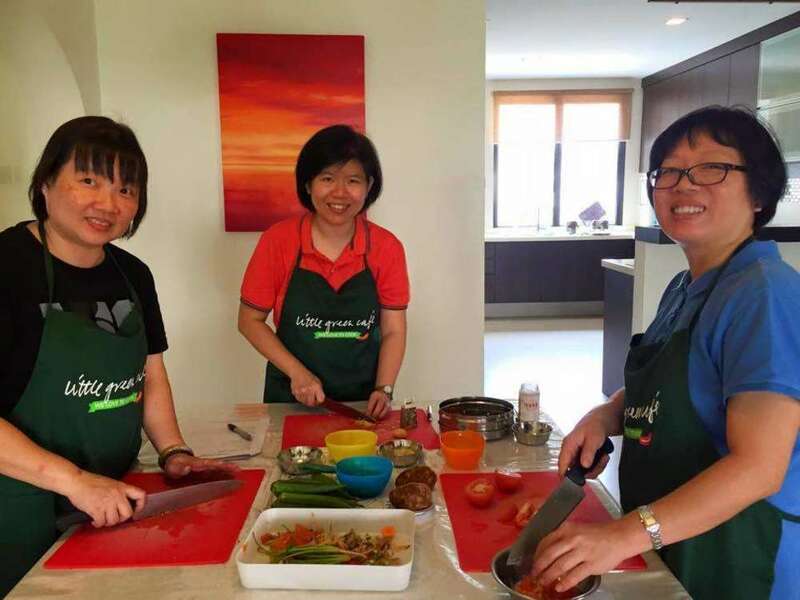 At Little Green Kitchen located off Upper East Coast Road, you can learn how to prepare from scratch four different healthy, home-style Sindhi dishes! You will also hear more from the chef's mouth about different ingredients and spices used in Sindhi cuisines, and where you can get them in Singapore! Not to mention, this workshop makes a wonderful bonding experience for your office, and is perfect for a hen's party or birthday party. Want to join an open class instead? Contact us to find out when is the next session! We can't wait to share with you the culinary pleasures of Sindhi cuisine!